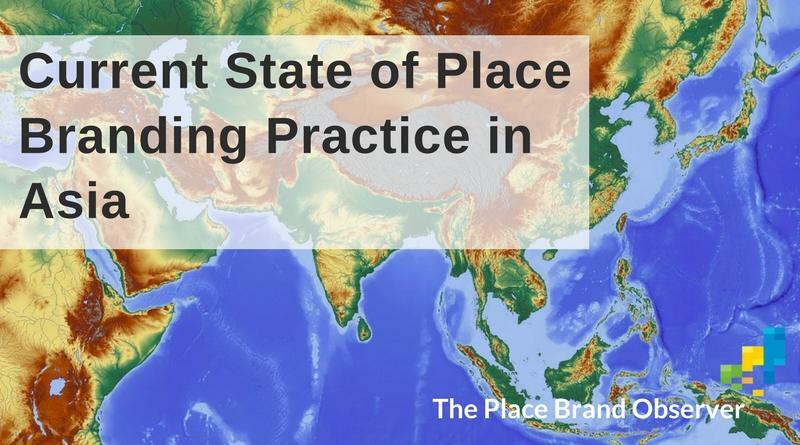 What is the current state of place branding practice in Asia? In this post, learn what leading place brand developers, managers and advisors think about the branding of cities, countries and destinations in Asia. Which challenges Asian cities, regions or destinations face regarding place brand development and brand management. While place branding strategies have played a role especially in Europe for quite some time, the concept is fairly new to many places in Asia. Most are still using “old-style” marketing and advertising for trying to position their city, region, destination or country on the map. Below a snapshot of place branding practice in Asia, according to the place brand strategists, researchers and advisors featured in our interview series. If interested in a specific country, please zoom into our world map for in-depth interviews and reflections on place branding practice across Asia. If interested in China, we recommend Emma Björner’s post on city branding and media portrayal of Chinese mega-cities, and the recent post by Aparna Sharma on Brand China. Dubai is a good example for how successful place branding is achieved through placemaking, making sure that what you’d like to be known and admired for actually exists. Tom Buncle, Jeremy Tamanini, Anupam Yog, Frank Cutitta and Gregory Pomerantsev all refer to Dubai in their interviews (some not yet published online), which illustrates how intriguing the city state is, from a place branding perspective. Learn more about Dubai and place branding in Florian Kaefer‘s recent article for the Gulf Marketing Review, on why Dubai is a place brander’s dream. Place branding as differentiation strategy is on the rise in India. The country has engaged in various initiatives on a national level, especially to promote India as manufacturer and export hub. Especially intriguing are the place brand strategies now developed and implemented by different states in India. Those are now emerging as destinations in their own right, following a global trend of shifting power from nation-states to regions and cities. Also interesting: how Indian destinations have used the World Economic Forum in Davos, Switzerland, to gain traction and brand exposure. If interested in place branding in India, we strongly recommend you to read our interviews with Aparna Sharma and Anupam Yog. Both provide in-depth explanations and reflections on branding activities in India. Indonesia and public diplomacy – which essentially is place branding by other means – was the topic of a guest post by USC Annenberg graduate and junior ministry official Gadis Ranty, in which she reflected on how public diplomacy practice in Indonesia and Southeast Asia has changed over the last years. In a second article she discussed the role of coffee for Brand Indonesia and its recognition as country-of-origin. From a place branding perspective, Indonesia might just be waking up, but is definitely a country to watch closely. Nancy Snow in her interview reflects on the nation branding and public diplomacy of Japan – well worth reading. Reflecting on place branding practices in South Korea, Keith Dinnie finds the country’s nation branding “much more dynamic than Japan’s” in that “South Korea has attempted quite a wide-ranging strategy”. We’ll report more on place branding practices in Korea soon. In the Middle East, according to Joao Freire, place branding is receiving traction especially among those countries “that realised that they should not depend solely on exporting oil and should diversify their economies by attracting business, tourists and workers.” He also observes growing competition among countries in the Middle East as a driver for place branding initiatives, as part of their development strategy. Having done years of research in a soft-authoritarian country – Singapore – I have seen how effective social life can be shaped through policies. The evolving destination branding of Singapore is part of the wider social engineering mechanism of the city-state. All in all, this is an exciting time for place branding practitioners in Asia, a continent whose strength lies in diversity, and whose cities, regions and nations are eager to develop their unique brands and competitive niches. “There will be an upsurge in place branding in the region as each nation tries to establish its credentials on the world stage”. That’s all on place branding in Asia for the moment. If you’d like to explore further, why not zoom in on our world map for in-depth interviews with leading place managers, marketers and developers in Asia. What do you think about the current state of place branding practice in Asia? Do you agree with the views shared in this post? Comments welcome! Kazakhstan is an interesting country not discussed. They pour a lot of money into building a brand for themselves, by hosting various events like the Iran nuclear deal or Syria peace talk discussions, building a brand new capital with lots of starchitecture in Astana, holding the World Expo this year, etc. Former capital Almaty is now working with Jan Gehl to transform its urban planning. The way they are going about it in general would not please too many place branding practitioners I feel, but together with Azerbaijan, Kazakhstan is definitely the most interesting nation in the former Soviet space to follow. With much more limited means, Kyrgyzstan is also trying to put itself (especially its tourism) on the map. Very interesting, thank you Steven! Asia is clearly too diverse and too large to cover in one post. We will publish a separate post on Russia and Oceania soon.